‘Talitha’ is for Sale at Ebay.co.uk. 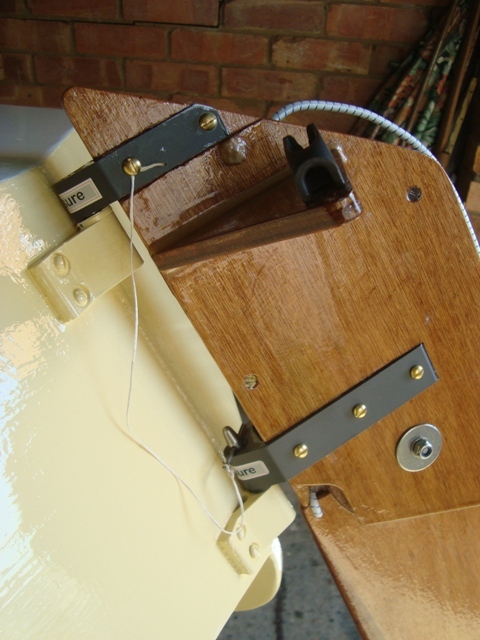 Astute followers of this blog may have noticed that I have reduced the asking price to £1,249. 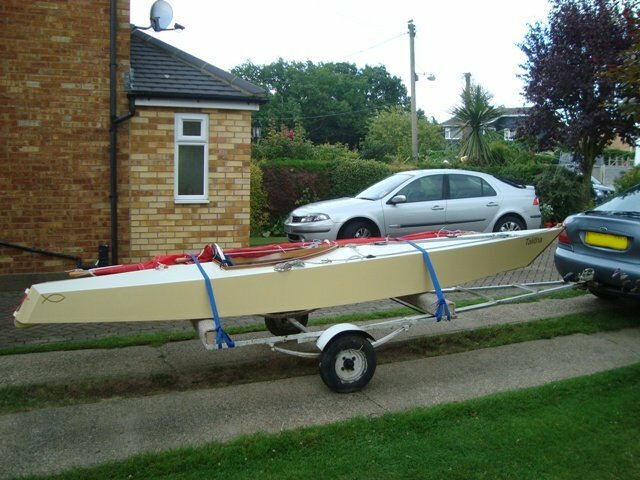 I am open to all sensible offers for the boat – trailer and gear included. If you are interested, please come along to Essex and see her. Additionally, if you would like a test sail on the River Crouch at Hullbridge when there is a spring tide, we may be able to arrange it. 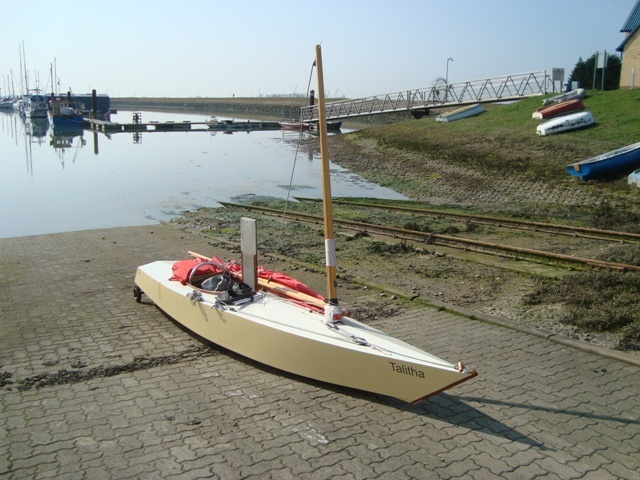 Please only contact me if you are genuinely interested in the possibility of owning the boat, and only if you have cash to match your offer. Contact me to by phoning 07588288060 between 0900 and 2100 UK BST Monday to Saturday inclusive, and between 1400 and 2100 on Sundays. I had the privilege of meeting a man today who is content with his lot; in fact, more than content. His name is Stephen Hall, known as Steve by his friends. 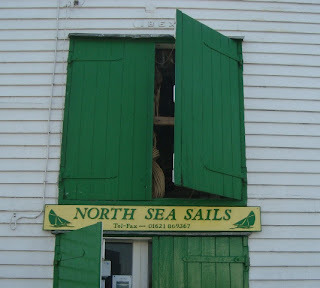 He owns and runs a sail loft at Tollesbury, trading under the name of North Sea Sails. Surfing the Internet will reveal that he makes sails for traditional craft such as Thames Barges and East Coast Smacks. 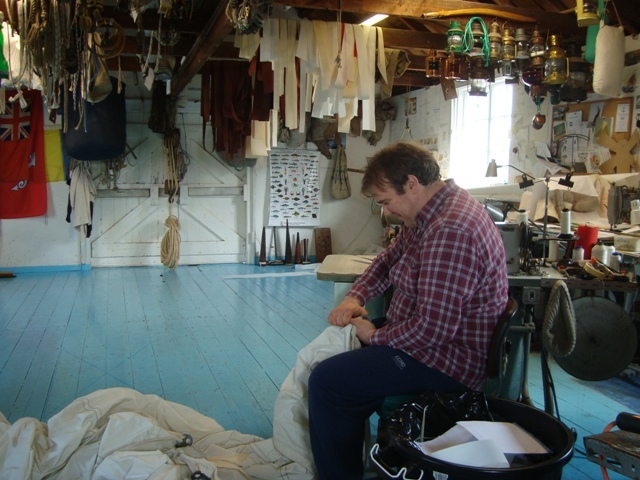 His loft is not large, but it is suitably equipped with tools of his trade, not high-tech laser cutting machines, but robust simple sewing machines that in his own words, he can mend if they go wrong. From our conversation it was obvious Steve is a man who values traditions and skills from the past – a man who delights in the old-fashioned way of doing things, fishing under sail and transporting cargo on Thames barges. Even the mention of ‘thatch’ which is used on a few local buildings brought a sparkle to his eye. None of these things threaten the environment; unlike modern technology that ultimately damages our world by pollution and pillages nature’s resources. 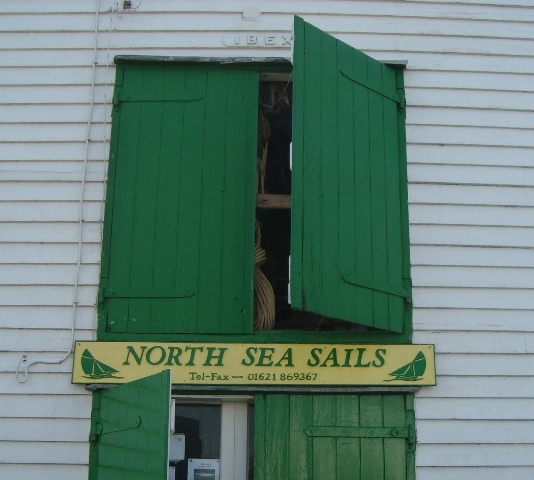 You won’t find a website for North Sea Sails, and if you have the pleasure of meeting him at his loft, you’ll not see a digital phone, just the older type that will work if there’s a power cut. Self-sufficient, he is at home there, listening to classical music on his tape player, busy with his hands that are his fortune – not in terms of making money, although I’m sure he has more than ample business, but a fortune through satisfaction and contentment because he can use his skills to good effect. The designer of ‘Talitha’, Derek Munnion, wrote an article for Water Craft Magazine* describing how he built his prototype Sharpy class sailboat. 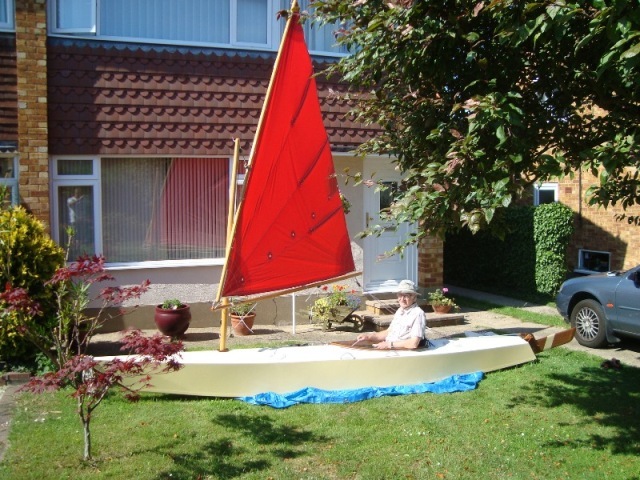 The title of the article was, ‘A Lazy Man’s Boat’. He wanted an easily handled craft suitable for his retirement, one that would not have him sitting on the side decks to keep her upright. He wanted to be completely at ease while sitting on a comfortable seat, facing forwards. To that end he designed a ballasted lightweight keelboat that he could put on the roof rack of his car. I can vouch that my Sharpy allows me to sail her with very little effort. I have every confidence she will not capsize. 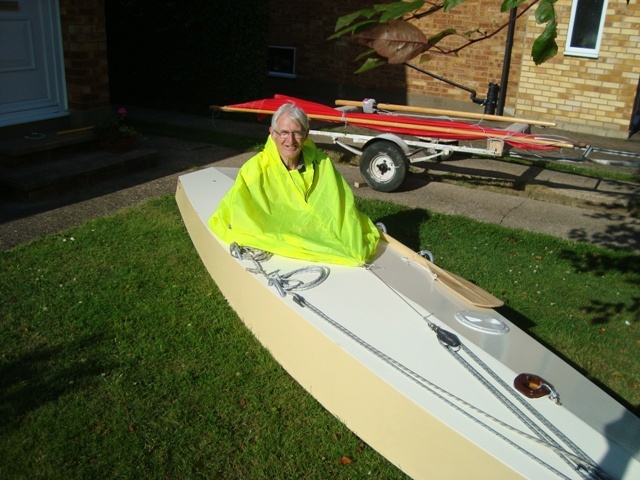 Only once did Derek experience having the boat on her side as a result of a strong gust, from which position she righted herself. A small amount of water entered the cockpit which he very quickly sponged out. I have a spray cover that encapsulates me, insulating me from the elements. After sailing ‘Talitha’ in winds of Force 5 I have the confidence to ‘wear’ the spray cover. 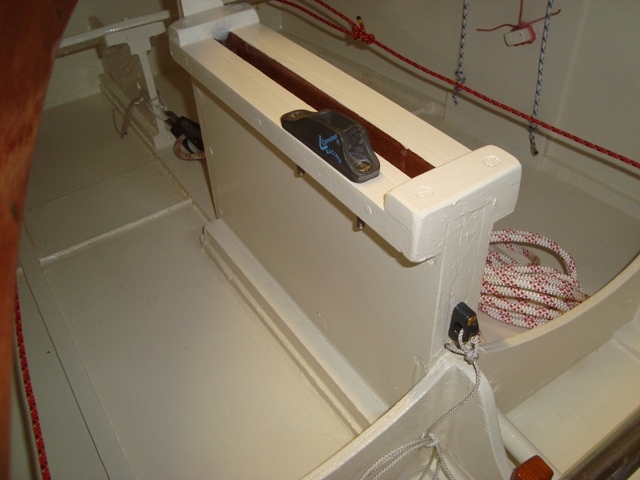 It keeps me warm and dry and I can operate the boat from within, because the sheet is led through a block under the foredeck and steering is done with a foot bar. 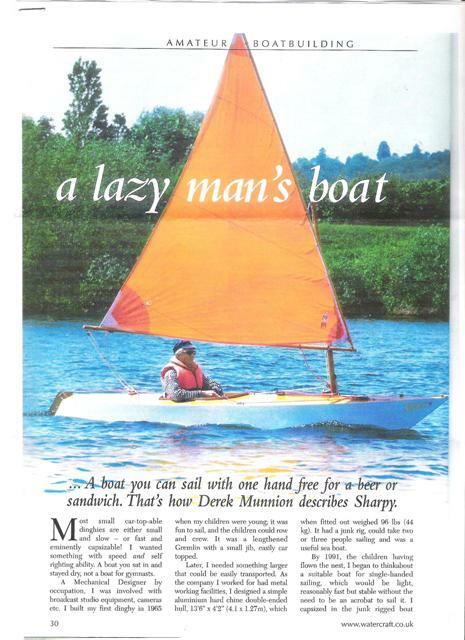 All this of course, makes sailing her a piece of cake with very little effort; hence she is described by Derek as, ‘A Lazy Man’s Boat’. 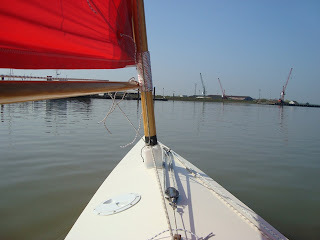 Today I had four hours afloat on the River Crouch. Most of the time there was very little wind. I launched at Burnham Yacht Harbour and took the last two hours of the flood drifting upstream beyond Black Point as far as the south side of Bridgemarsh Island. There I listened to skylarks as I had lunch. 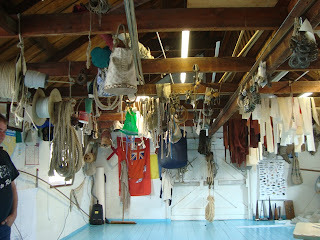 The wind perked up briefly from the southeast which was sufficient with the ebb to bring me back to the Yacht Harbour. 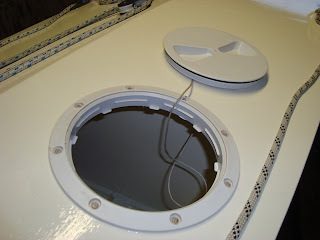 Apart from the incursion of a very inconsiderate ‘driver’ of a motor yacht who took delight in making the largest wash possible, the time afloat was most enjoyable. 2 Timothy 4:22 ‘The Lord Jesus Christ be with your spirit. Grace be with you. Amen. Offers for ‘Talitha’ are now being accepted at Ebay.co.uk. To learn more, key the following number into the Ebay search box: 160766035115. She is being advertised at £1,500, but I am open to sensible offers. Why not give it a go? You may be surprised with the result; however, please bear in mind that your offer must be genuine. Offers over an undisclosed amount will automatically be accepted, and you will be required to complete the transaction by paying for the boat and collecting her. True to form, I want to start another project, and to help finance it I’ve decided to part with ‘Talitha’. 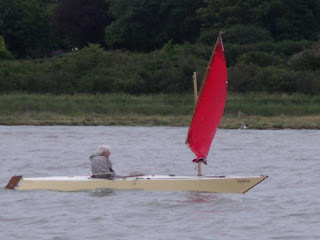 She is a Sharpy Class, roof rack keelboat designed by Derek Munnion. 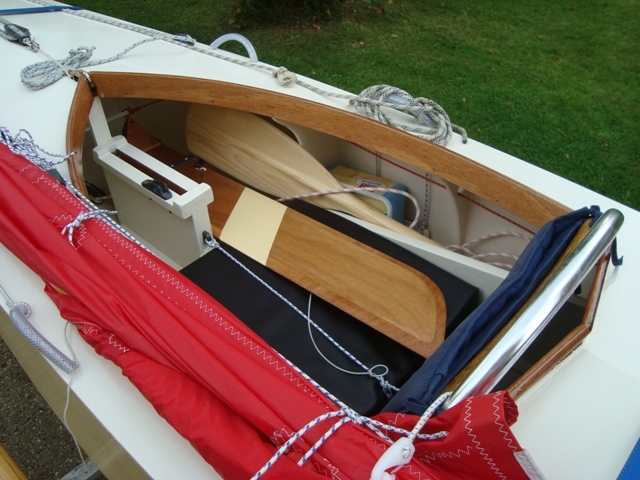 Best quality materials, including marine plywood were used throughout her construction, and her lateen sail was professionally made by Wilkinson Sails of Burnham-on-Crouch. 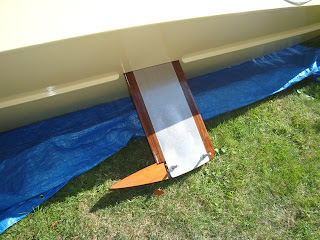 Her road trailer is included in the sale, along with her paddle, spray apron, seat, painters etc. 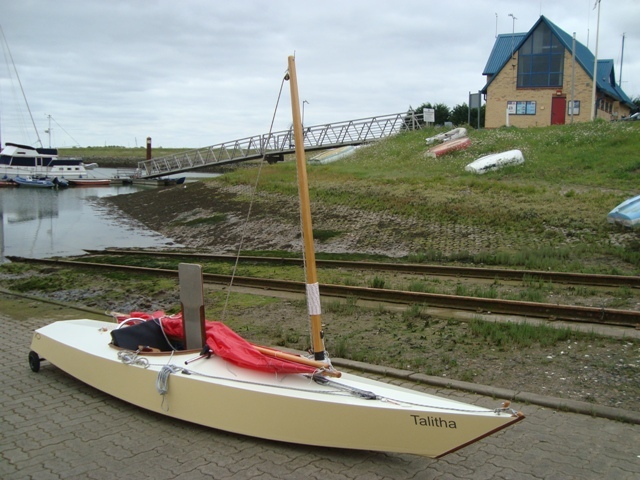 If you would like to become ‘Talitha’s’ new owner, please get in touch. You can do this by emailing me: barnacleid at yahoo dot co dot uk. Please note that I am unable to edit this Boats and Outboards advert without incurring an extra charge; therefore assume an asking price of £1,500 in line with the Ebay listing.